They were the 99 percent too. In his remarks this past Friday, President Obama repeated the bogus statistic that "99 percent of all women have relied on contraception at some point in their lives." We will examine the provenance of the 99% figure presently, but first, we must understand what is really at stake. Liberals are trying to frame the debate over the HHS contraceptive mandate as an attempt by conservatives to ban or limit access to birth control, but that is not even at issue. This is a debate about the fundamental meaning and structure of the Constitution. Think of it this way: more than 99% of Americans will drink tap water at some point in their lives. But water is not free. Even in the bluest-of-blue states, you (or your landlord) get a bill for fresh drinking water supplied to your home. Perhaps low-income households get some help to pay this bill, but according to the President’s logic, because 99% of Americans drink water, the federal government should not only require every American to purchase public water (as opposed to say bottled water or rain water collected in a cistern) and furthermore, that employers should be required pay everyone’s water bill. Likewise, the real debate today is about the ObamaCare individual mandate which requires every American to purchase insurance which covers birth control and the HHS employer mandate which requires every employer to provide insurance which covers birth control. Regardless of one’s opinion about birth control, this is an unprecedented exercise of government power in the private lives of every American. As the Prolix Patriot tweeted the other day, "Even if the socialist HHS mandate did not target religious freedom, it would still be socialist." That said, perhaps it is true that most Catholics have used birth control at some point in their lives, but Lydia McGrew at the blog “What’s Wrong with the World” has examined the 98% number and basically, all you can really say is that 98% of Catholic women who have used contraception have used artificial contraception. That’s not saying much. The statistic does not include women who are either celibate or actively trying to get pregnant—which is far more than 1-2% of Catholic women. As a corollary, there are probably also many Catholics who are have used birth control in opposition to Church teaching, but who nevertheless oppose government intervention in this area. But for argument’s sake, let’s take the 99% argument at face value. It is an actual fact (as opposed to a bogus statistic) that 98-99% of Americans are not Jewish. Of the 1-2% that are, only about half attend synagogues regularly and then only half of those are Conservative or Orthodox Jews. That leaves perhaps 0.25-0.5% of the total American population. According to the 99% argument, does that mean the First Amendment does not protect the religious expression of the very small minority of Jews who still conform to the Law of Moses and the Talmud? Jews have historically been oppressed in their religious expression for centuries, so it is not a coincidence that Meir Soloveichik, a prominent Orthodox rabbi, joined with an the leader of an evangelical non-profit and a Catholic cardinal in a letter to the Wall Street Journal opposing the HHS contraceptive mandate. Furthermore, the 99% argument sounds suspiciously like it was borrowed from the Occupy movement which has been a well-documented hotbed of anti-Semitism. Indeed, there are liberal voices which make an explicit connection between the ObamaCare contraceptive mandate and the Occupy movement. The First Amendment was created precisely to defend the rights of a small minority against the tyranny of the majority. Any time you hear the 99% argument as justification for Obama's policies, remember that Josef Stalin and Saddam Hussein routinely won 99% of the vote in their sham elections. 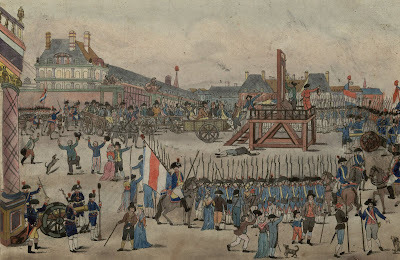 Whether in the anti-Semitic ranting of Occupy Wall Street or the anti-Catholic vitriol of liberal journalists and bloggers, the 99% argument is in essence an appeal to mob rule no less disturbing than Robespierre’s reign of terror or the Bolshevik purges. It is easy to stand with the 99%. It takes real courage to stand for the rights of the weak and the oppressed—especially when the heads start to roll.